For the past year, teams all across Envoy have been working around the clock to prepare for the smooth introduction of 40 new Embraer 175 to its fleet. Today the FAA formally approved the addition of the E175 to Envoy’s operating specifications. 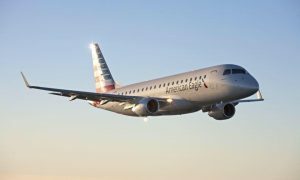 The E175 will provide an even better travel experience for American’s customers. With 76 seats, a premium cabin with first class amenities, a roomy main cabin with full-size overhead bins, the E175 offers a seamless transition for customers connecting from regional to mainline flights. 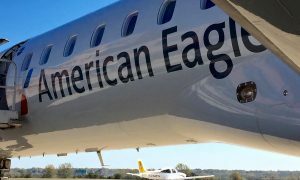 American has given Envoy a fleet commitment of 40 E175s, with options for up to 90 more. 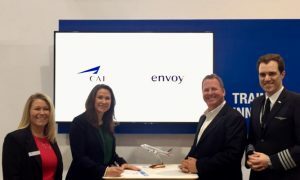 “My thanks to Jim Winkley, Vice President E175 Project, for his leadership on this effort, and to everyone throughout Envoy who played a part in our successful fleet expansion,” added Pedro.